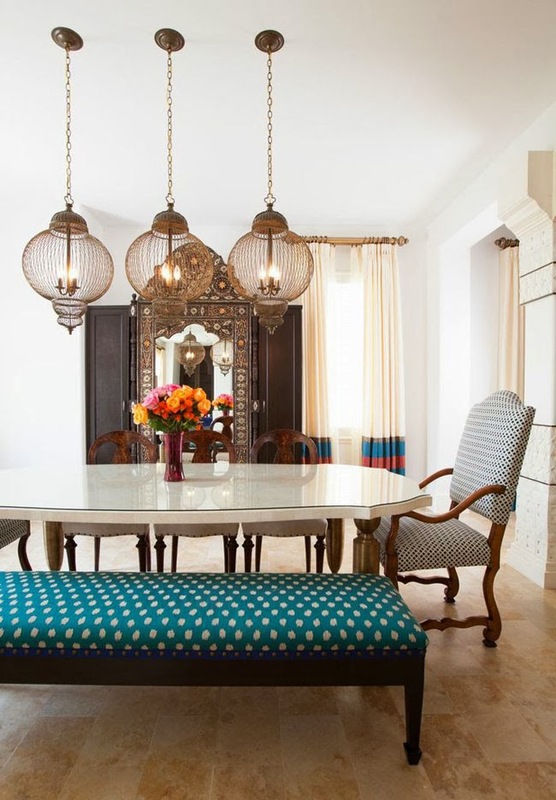 I am in love with this beautiful moroccan inspired home. 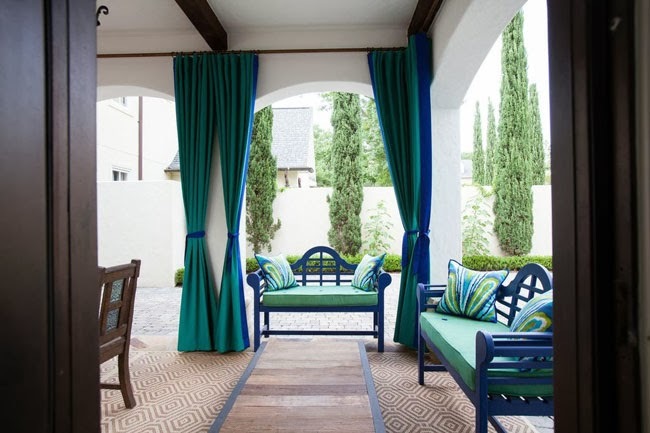 It was designed by Laura U Interior Design and it's definitely my favorite out of everything in her portfolio. It's just so bright, colorful, and fun! Be sure to also check out the Laura U blog if you love interior design they post a lot of interesting stuff there! All images courtesy of Laura U.
Wow those lamps are absolutely stunning! I love moroccan decorating, it's so cultural and ads so much to the room. Love all of the lamps! My aunt has some in her house over the island in the kitchen and I am always lusting after them! Obsessed with the lamps! They are so unique and cute. Thats the first time I've ever seen a chevron fireplace but it actually looks really cute! Isn't it great? 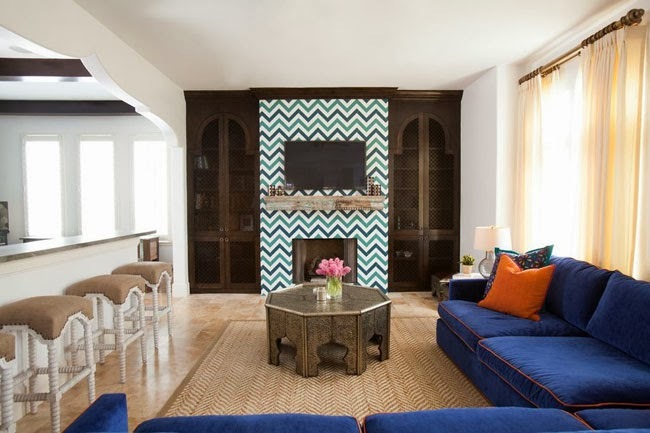 It's such an unexpected use of chevron. your blog is so cute! hi! now following :-) I love the decor so much, makes me want a nice summer house! The teal is a beaut! This is such a beautiful home, I love the pop color yet it's still so chic. Love it! 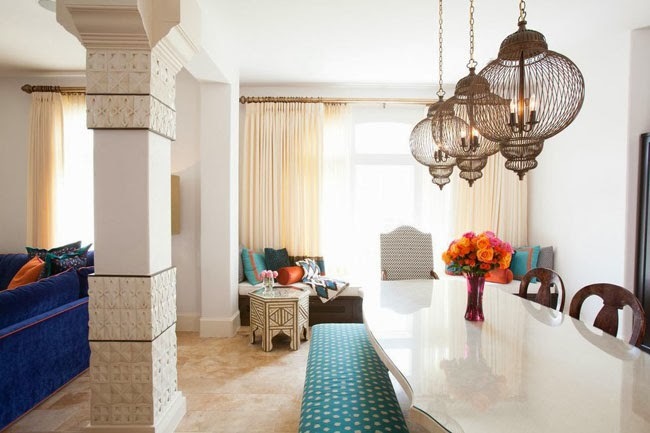 I love the Moroccan decor....especially that window seat area! So pretty! 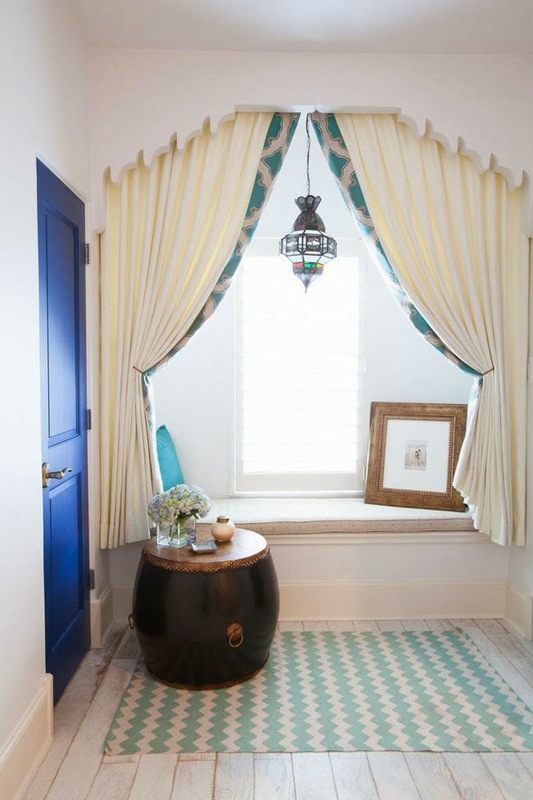 I'm a huge fan of blue/mint colors throughout the home! :) P.S. I'm following you now on GFC! Love it, I used those dining room lanterns over my clients kitchen island! They are fabulous!!! Great post! Thanks for the fabulous post! We love Petite in Pearls! That is such a beautiful house! I would love my future house to look like that! This is fabulous! Thanks for the recommendation; I'm always looking for new blogs for inspiration!